IC Bus announced a strategic relationship with Education Logistics, Inc. (Edulog)—a recognized industry leader in pupil transportation solutions—that will offer the school bus market even more comprehensive telematics solutions through Navistar's OnCommand Connection remote diagnostics and telematics solution for all makes and models. "In today's competitive bus marketplace, telematics solutions like OnCommand Connection can help customers optimize vehicle uptime and driver productivity," said Terry Kline, Navistar senior vice president and chief information officer. "The deepening of the relationship between IC Bus and Edulog demonstrates our commitment to an open marketplace that gives our customers greater choice in finding the appropriate telematics solutions for their fleets, drivers, and community." The IC Bus and Edulog relationship will integrate key software and hardware through OnCommand Connection to give school districts visibility into vehicle health and take advantage of end-to-end information management solutions and services to keep buses running safely, reliably, and on-time. "Edulog carries the weight of 40 years in the school bus industry, and we are devoted to only the school bus industry. Our product line of route management, GPS/AVL, driver time and attendance, student ridership, school bus-based navigation, and more than 20 additional product lines greatly enhances the technology built by Navistar and OCC. From day one, I have been enthusiastic about OCC's technology available in other verticals and certainly welcome this upgrade to school buses," said Jason Corbally, Edulog president. "With this blend of OnCommand Connection and Edulog tools installed on our buses, customers can resourcefully manage the health of their vehicles and increase school transportation efficiency and overall rider safety," said Trish Reed, IC Bus vice president and general manager. "With Edulog's strength in school bus technology focused on logistics, student and driver management, fleet maintenance, and an expanded consulting group—and IC Bus's focus on keeping buses operating at peak performance—this solution will deliver a powerful combination of uptime and on-time." The mix of Edulog and IC Bus technologies, such as pre- and post-trip inspection reporting, advanced remote diagnostics, route-based navigation, parent portal and student ridership, driver gamification, and premium fleet manager—which permits real time knowledge of a fleet's health—will enable school districts to get the most out of their fleet investments. 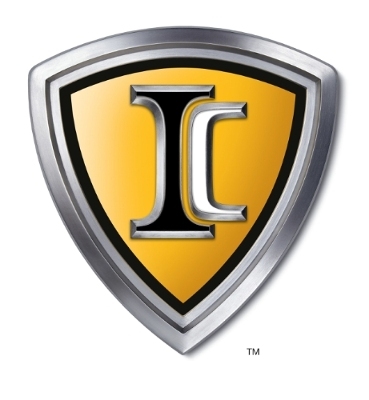 The full suite of tools will be available in the fall through IC Bus dealers—or immediately through the Edulog sales team. "We are excited to work with IC Bus because they share our values of providing a safe and efficient experience for students and parents," said Corbally. "This relationship is a synergy of two leading technology providers and leverages our individual expertise into a powerful solution combining vehicle diagnostics and logistics for our school bus customers."